How many cases are undiagnosed? If our health-care professionals, don't understand lymphoedema, then they find it difficult to diagnose. If lymphoedema is not part of the training of health-care professionals, how can they devise a treatment plan? How will the statistics change for Primary and Secondary Lymphoedema if the diagnoses of secondary lymphoedema continues to grow? We are repeatedly told by our health-care professionals that there is no pain associated with lymphoedema. L-W-O have 1000 plus members that beg to differ. Our members live with this condition. How can someone who doesn't live with this condition tell us how we feel? One of the most underestimated problems with lymphoedema is the mental health problems it causes. Our American friends call lymphoedema a disease. 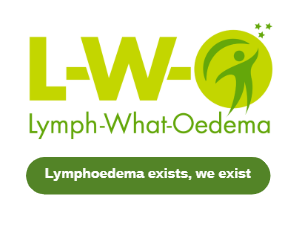 In the UK we call lymphoedema a condition. Therefore, I ask myself? If we in the UK call this a condition, then by the very term 'condition' do we downgrade the seriousness of lymphoedema. My personal view is because of the lack of knowledge amongst many of our health-care professionals and often their dismissive attitudes to those of us living with this debilitating condition we will struggle to be taken seriously. Which is why we need to make our voices heard. Health problems are often underestimated. Many health-care professionals do not understand lymphoedema. 1 in 5 might get lymphoedema after cancer treatment. 75% of lymphoedema is non-cancer related. 2 times more common than Parkinson's Disease. The Members Support Group on Facebook have identified the concerns, they worry about.